Donald Trump said South Korea should pay for hosting the American THAAD anti-missile system, in line with his general narrative that America’s allies are taking advantage of US protection. Seoul has rejected the idea. President Trump wants South Korea to pay around $1 billion for the deployment of the Terminal High Altitude Area Defense (THAAD) battery, he told Reuters in an exclusive interview. “I informed South Korea it would be appropriate if they paid. It’s a billion dollar system,” said Trump. “It’s phenomenal, shoots missiles right out of the sky,” he added, promoting the anti-missile system that is being deployed in South Korea amid much public discontent and fears that it will only make the immediate surroundings a prime target of a potential strike. This was the first time Trump has spoken directly about the costs of THAAD’s deployment in Korea. In order for Seoul to pay up, Trump would need to convince the next South Korean President, who will be decided on May 9 when the country head to the polls. Seoul said it was not going to change the arrangement with the US on hosting the system. “There is no change in South Korea and the United States' position that our government provides the land and supporting facilities and the US bears the cost of the THAAD system's deployment, operation and maintenance,” the South Korean Defense Ministry said in a statement. “Even if we purchase THAAD, its main operation would be in the hands of the United States,” said Kim Ki-jung, a foreign policy adviser to Moon and professor at Seoul's Yonsei University. “So purchasing it would be an impossible option. That was our topic when we were considering the options,” Kim said. Following a series of nuclear and missile tests by North Korea, the Barack Obama administration in 2016 managed to strike a deal to place THAAD missiles in South Korea with the declared goal of keeping Pyongyang’s nuclear ambitions at bay. 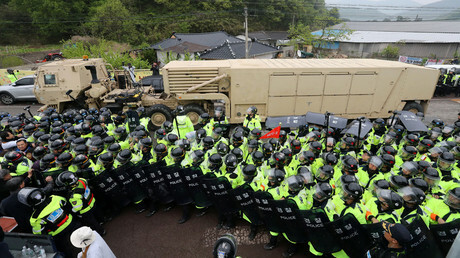 The first elements of the system were moved onto a golf course in Seongju, North Gyeongsang Province, South Korea on Tuesday, prompting clashes between locals and police. THAAD provides the ballistic missile defense system with a globally transportable, rapidly deployable capability to intercept and destroy ballistic missiles inside or outside the atmosphere during the final phase of flight. 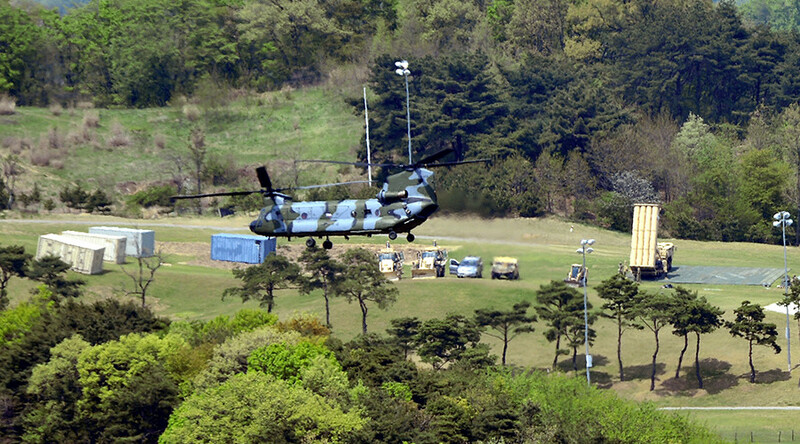 In Korea, the 35th Air Defense Artillery Brigade, subordinate to the US Eighth Army, would operate the system. Another target for Trump’s ire in the Reuters interview was Saudi Arabia. The US president said the Arab kingdom was taking advantage of America’s protection while not paying enough for it. “Frankly, Saudi Arabia has not treated us fairly, because we are losing a tremendous amount of money in defending Saudi Arabia,” Trump told the agency, echoing his statements made on his campaign trail last year. Despite Trump’s suggestion that Saudi Arabia should cough up more cash, the State Department last month approved resuming arms sales to Saudi Arabia which was previously blocked by Barack Obama. 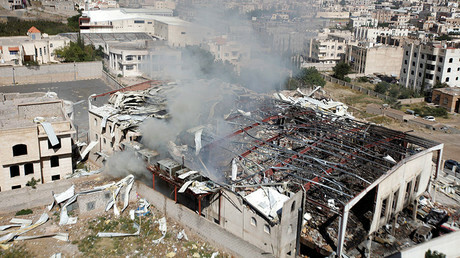 Last year, Obama’s administration approved a $1.15bn sale of tanks and armored vehicles to Saudi Arabia, but due to the ongoing bombardment of Yemen by Saudi led forces, the former US president blocked the sale. Until now, Trump and his team have primarily focused on getting all NATO members to pay their "fair share" for their protection. The US is the biggest contributor to NATO’s defense expenditures, spending roughly two and a half times more than the rest of the allies combined. The US spent an estimated $664 billion on defense last year. Only five out of 28 NATO nations are currently meeting the two percent of GDP spending mark demanded by Trump. Besides the US, these are the UK, Estonia, Greece and Poland. — RT America (@RT_America) 18 марта 2017 г.